A watercolor painting I created in memory of my Mom who recently passed away in November. The watercolor is so beautiful and meaningful, I wanted to be able to share it with others. I had fine art giclée prints made. The paper is Somerset Velvet. It has the look and feel of watercolor paper. The prints have turned out so nice it looks like a real watercolor painting. 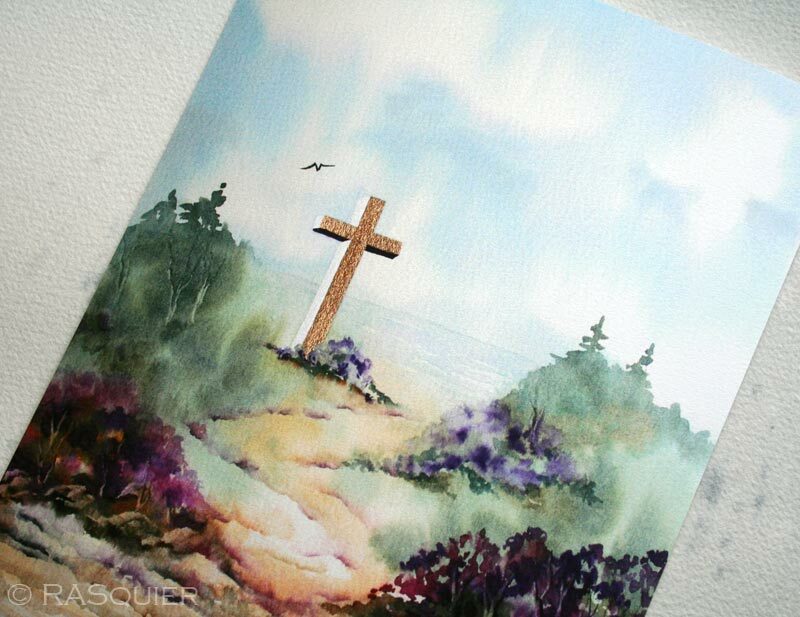 If you would like a copy of this beautiful spiritual print, you can find Julia's Cross as an 8x10 inch print in my Squier Etsy Shop. 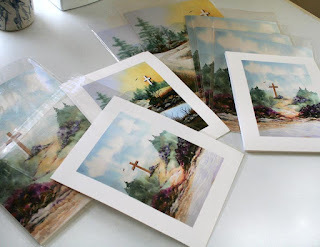 Also available are 5x7 inch prints with or without a mat in my Squier Etsy Shop.